Alaskan Husky Dogs - The Loyal, Loving, Sled Dog Pet! 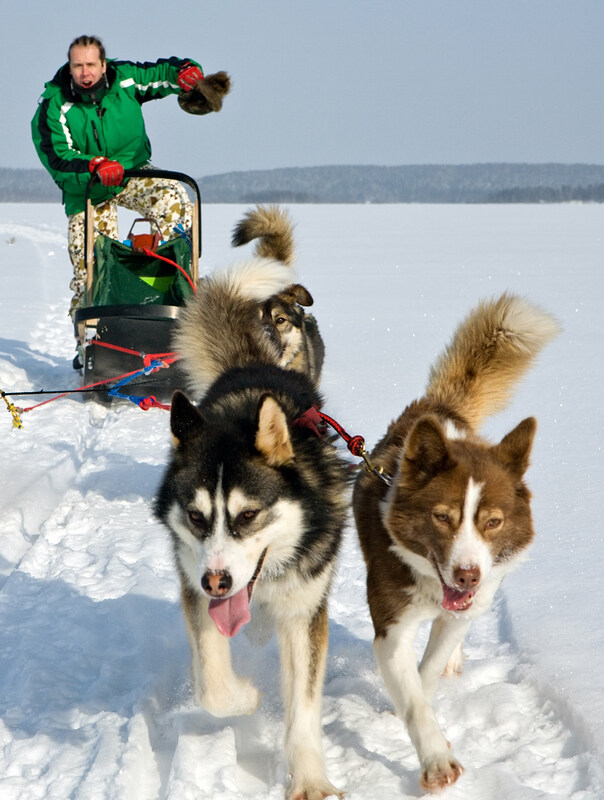 Does the idea of having a real sled dog as a family pet and loyal canine companion sound exciting? Then you probably are already interested in learning more about the Alaskan Husky dog! We’ll tell you all you need to know about the Alaskan Husky—including health and temperament information. So that you can make an informed decision about whether this special and unique northern dog breed is the right pet for you. What is an Alaskan Husky? The Alaskan Husky is not a Siberian Husky or an Alaskan Malamute. You won’t see one on a championship dog show on television. So, what exactly is an Alaskan Husky? 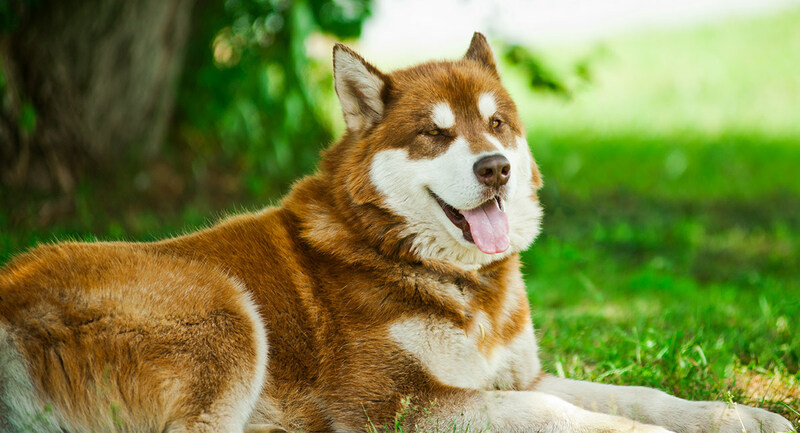 Although not officially recognized by dog breed organizations like the American Kennel Club, the Alaskan Husky is a mixed breed dog that has a long and fascinating backstory all its own. The Alaskan Husky breed got its start with the dogs found in Native (or Inuit) villages in Alaska and Canada. They were usually Spitz-type dogs. The Spitz is a northern breed that is well suited to very cold climates. Familiar Spitz breeds include the Akita, Norwegian Elkhound, and Samoyed. Dog sled drivers (called mushers) began to cross these Native village dogs with various other breeds to create the modern Alaskan Husky sled dog. Common cross breeds included the Siberian Husky, German Shorthaired Pointer, and even the Greyhound. Many people are curious about what makes the Alaskan Husky distinct from the Siberian Husky. There are key differences that set the two breeds apart. The Alaskan Husky was bred for its performance as a hard-working sled dog. The Alaskan Husky is not bred for appearance or to conform to any breed standard. Size, eye color, and coat color and length can vary from dog to dog. An Alaskan Husky may have blue eyes, but brown is more common. The Siberian Husky is a purebred dog that is recognized by the AKC and other breed organizations. Show quality dogs must conform to breed standards for size, eye color (blue, brown, or mixed), and coat–especially that furry double coat and brushy tail. Because the ancestors of the Alaskans and Siberians were Spitz dogs. And because the Siberian was used in creating the Alaskan Husky mix, they can look similar. But the Alaskan Husky is generally larger and leaner than its cousin the Siberian Husky. The Alaskan is a true working dog in both looks and temperament. 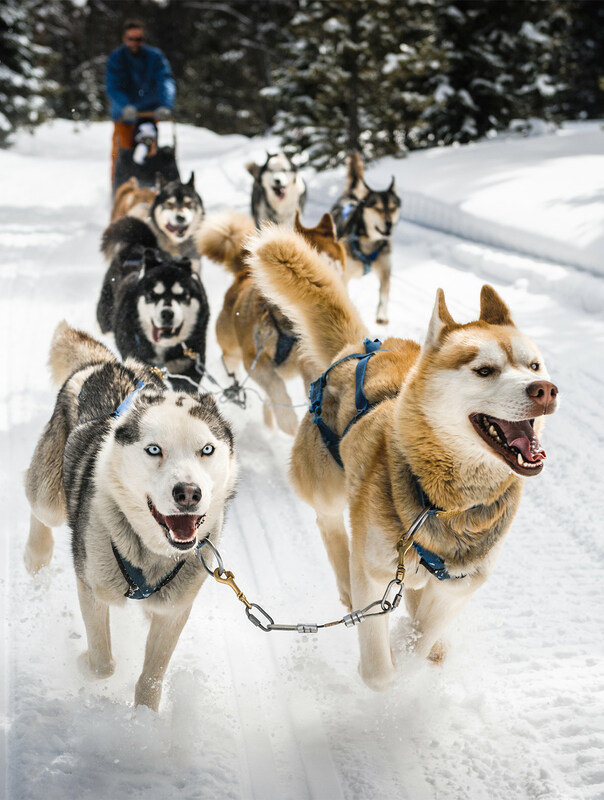 While the Siberian can be used as a sled dog, long distance racers are much more likely to choose the Alaskan. Besides racing, they are also used to haul loads in remote snowy terrain. The Alaskan Husky is a medium-sized dog. The males range from between 40-60 pounds and the females from 35-55 pounds. Because Alaskan Huskies are bred for performance and not to conform to any breed standard, size variations are common. For example, Alaskans bred for hauling loads may be larger than ones bred for sled racing. The coat of an Alaskan Husky can range from short to medium length. And generally lacks the fluffiness of some other northern breeds like the Keeshond or Finnish Lapphund. Working Alaskans have shorter coats for racing. Many potential owners are interested in a white Alaskan Husky or a black Alaskan Husky. Alaskans can have any coat color. They can be solid or have a variety of markings, too. Multicolored Alaskans are more common than an all-white Alaskan Husky or an all-black one. White is often combined with black, grey, brown, or tan. Can an Alaskan Husky have blue eyes? Any eye color is possible in an Alaskan, but the most common eye color for the breed is brown. Blue eye color (or odd-eyed blue and brown) tends to be more prevalent in Siberians. What is a mini Alaskan Husky? Many Spitz and Husky fans like small versions of this type of dog. The toy Pomeranian, for example, is a Spitz. True Alaskan Huskies are bred to be working sled dogs however, and do not come in miniature sizes. If you are interested in a “baby” Alaskan Husky, you can consider smaller Husky breeds like the miniature Siberian Husky or the Alaskan Klee Klai. The Klee Klai is a mixed breed first developed in the 1970s. It may be the closest thing to a mini Alaskan Husky because the Alaskan is one of the breeds used to create it. Other breeds used for the Klee Klai are Siberians, American Eskimo Dogs, and Schipperke. What is the personality of the Alaskan Husky like? Because the Alaskan has been bred to work as part of a team, this breed generally gets along well with people and other dogs. Like other working dog breeds, Alaskan Huskies are not couch potatoes! If you are looking for a family pet and not a working sled dog, there are important things to know before acquiring one. Alaskans are happiest when they are kept busy. A bored and confined Alaskan can be destructive, and they also have a reputation for being escape artists. They can dig under and jump over fences if left unattended in the back yard. Some also have a strong prey drive when they see cats and other small animals. They need lots of regular exercise and plenty of space to run and play. Alaskan Huskies thrive with active owners who love the outdoor lifestyle. 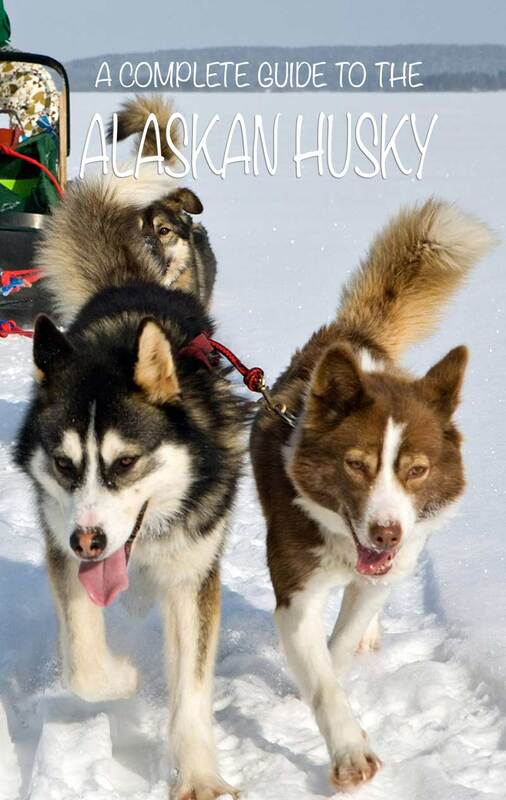 If you’re not a dogsledder, take your Alaskan with you on runs, hikes, skiing, and snowboarding. 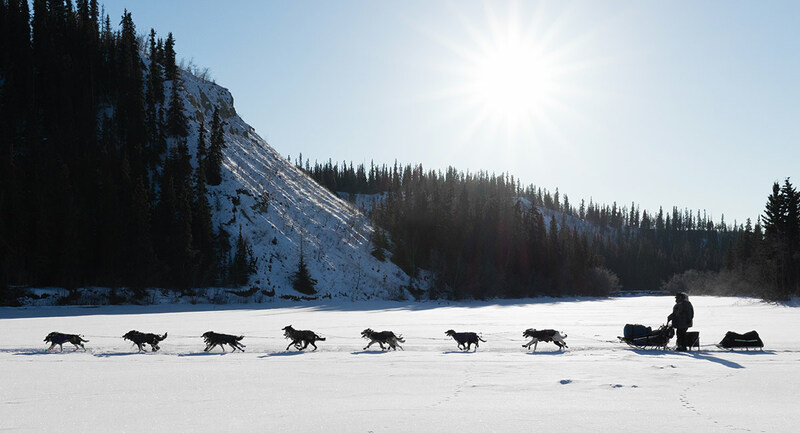 One activity tailor-made for Alaskan Huskies is skijoring. Skijoring is cross country skiing while being pulled by one or more dogs. Both human and dogs wear harnesses that are attached to a line. Alaskans also enjoy competitive canine activities like flyball, agility and obedience trials, and even sheep herding trials. 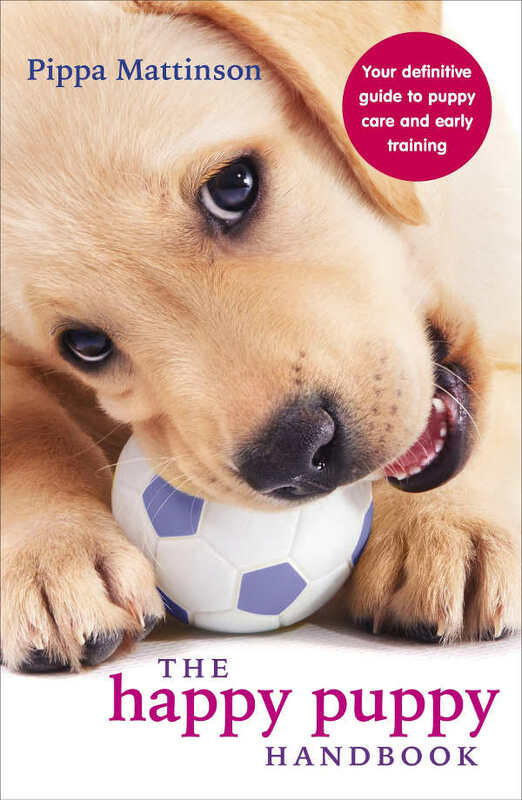 Training and socialization from an early age are especially important with an active dog like the Alaskan Husky. Start training your Alaskan Husky puppy as soon as possible. Experts note that formal group training classes are very good for young Alaskans. Are Alaskan Huskies a healthy dog breed? Any dog, whether it’s a mixed breed or a purebred, can inherit some health problems. The Alaskan Husky is bred to be a hard-working sled dog, able to run for long distances in harsh conditions. While it is generally healthy overall, there are a few health problems potential owners should know about. Some Alaskan Huskies may develop a genetic eye disease called progressive retinol atrophy (PRA). Over time, the retina of a dog with PRA degenerates, leading to vision loss and possibly blindness. There is a genetic test for a form of PRA called cone degeneration (CD). Make sure both your Alaskan Husky puppy’s parents are tested for PRA. They should be both clear or one clear, one carrier. If one parent is a carrier, the gene won’t express but could have been passed on to your pup. That means that if in time you want to breed from him or her, PRA tests are again vital to ensure the health of their progeny. Alaskans can also develop hypothyroidism, which is an underactive thyroid gland. Symptoms include lethargy, weight gain, skin and coat problems, and a slowed heart rate. And there is something more serious too. Any potential Alaskan owner should be aware of a rare but serious genetic disorder called Alaskan Husky Encephalopathy (AHE). AHE is an incurable brain disease that affects juvenile dogs. Lesions in the brain cause neurological symptoms like seizures, difficulty walking and eating, impaired vision, and behavioral and cognitive abnormalities. AHE is a type of metabolic disorder, which means that the body is unable to process certain components of food, leading to either too much or too little of a substance in the body. Recent genetic research has shown that dogs with AHE have the inability to process thiamine. A thiamine deficiency leads to significant neurological degeneration. While there is no cure for AHE, researchers have identified the genes involved and there is a DNA test for the AHE mutation. 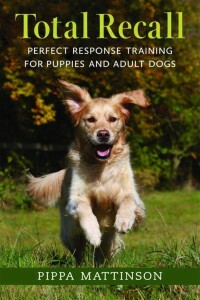 This test identifies unaffected dogs, as well as dogs that carry one or two copies of the gene. A dog with one copy is a carrier; a dog that carries two copies will develop AHE. Make sure the parents are both tested for AHE too. You can find an Alaskan Husky puppy through a breeder. Many Alaskan Husky breeders are also mushers who breed working sled dogs. It’s always a good idea to make in person visits to any breeder you might be interested in, so that you can see the puppy’s home environment and talk to the breeder. Because Alaskan Huskies can be predisposed to AHE and PRA, it’s especially important to verify that your puppy’s parents have been tested. There is a genetic test for AHE that will identify normal dogs, carriers, and affected dogs. Reputable breeders will test their dogs and provide clients with the results. Many reputable breeders do have websites, and any online inquiry should be followed up in person. Avoid buying an Alaskan sight unseen from an online advertisement. You could risk getting a puppy mill dog with unidentified health problems. What is the Alaskan Husky price? Price varies greatly because many Alaskans are working sled dogs used in races like the Iditarod. A top sled dog can be over $10,000! If you are seeking a pet quality Alaskan Husky and not a sled dog, expect to pay in the $1,000-$1,500 range. 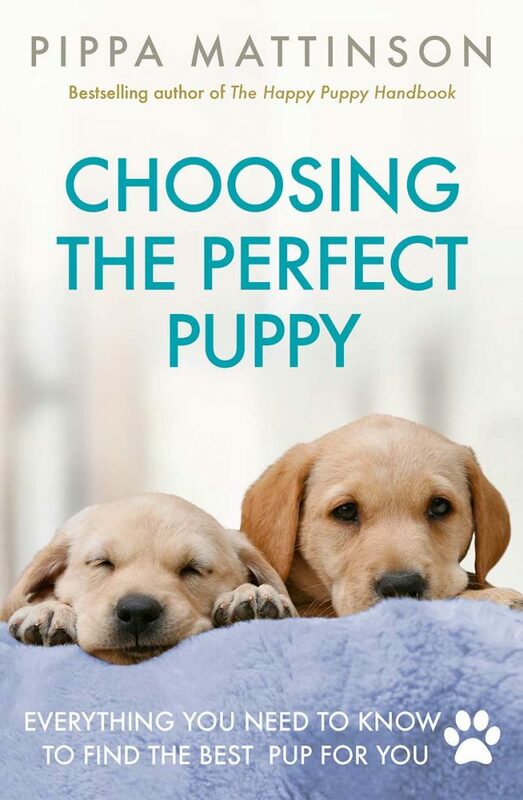 Price will depend on a breeder’s reputation, location, and the puppy’s bloodline. A low-priced Alaskan sold online by an unidentifiable breeder is a red flag for a puppy mill dog. Alaskan Husky adoption is a great alternative to buying from a breeder. Because active and energetic dogs like Alaskans can be hard for an inexperienced owner to handle, many do end up at animal shelters and with rescue groups around the country. There are Alaskan Husky breed rescue organizations. Many also work with similar breeds like the Siberian Husky and the Alaskan Malamute. Be sure to look for general Husky rescue groups, and not just Alaskan Husky groups, to expand your search. Husky breed rescue groups are full of knowledgeable Husky lovers. 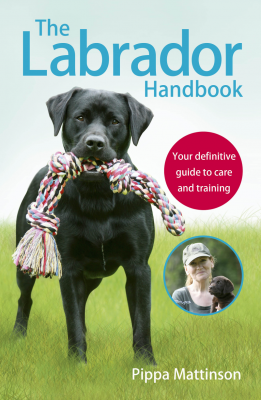 They can be a great resource in not only finding an Alaskan, but also providing valuable advice on care and training for your new dog. Many animal shelters have surrendered Alaskan Huskies. Is an Alaskan Husky a good pet? Yes, Alaskan Huskies make great pets, but only for the right owner. While friendly and affectionate, they are not a good choice for novice dog owners and less active people. The ideal Alaskan owner will be an active, outdoorsy person who can provide their dog with plenty of space to run and lots of time to spend participating in shared activities together. A bored Alaskan left alone (indoors or outdoors) is a recipe for disaster. Alaskans need active and engaged owners, as well as plenty of training and socialization, to avoid bad habits…including escaping and running away! An Alaskan is the ideal companion to have by your side on all kinds of outdoor adventures and sports like backpacking, running, snowshoeing, and agility trials. A busy Alaskan is a happy Alaskan! “Alaskan Husky Encephalopathy (AHE) Clinical Study.” University of California Davis School of Veterinary Medicine. Brenner, O., Wakschlagg, J.J., Summers, B.A., et al. “Alaskan Husky Encephalopathy–A Canine Neurodegenerative Disorder Resembling Subacute Necrotizing Encephalomyelopathy (Leigh Syndrome).” Acta Neuropathologica, 2000. Vernau, K.M., Runstadler, J.A., Brown, E.A., et al. “Genome-Wide Association Analysis Identifies a Mutation in the Thiamine Transporter 2 (SLC19A3) Gene Associated with Alaskan Husky Encephalopathy.” PLoS ONE, 2013. Wiedmer, M., Oevermann, A., Borer-Germann, S.E., et al. “A RAB3GAP1 SINE Insertion in Alaskan Huskies with Polyneuropathy, Ocular Abnormalities, and Neuronal Vacuolation (POANV) Resembling Human Warburg Micro Syndrome 1 (WARBM1).” G3: Genes, Genomes, Genetics, 2016. “Alaskan Husky Genetic Tests.” University of California Veterinary Genetics Laboratory.“Alaskan Husky vs. Siberian Husky.” North Star Siberian Husky Rescue. I would like to get in touch with you four possibilities of buying a husky puppy, like yours. I reside in Hamilton New Jersey. My name is Ramadhan. Your experience sounds like one I would love to undergo with a husky. However I’m interested in purchasing a baby a puppy real small. So I can nurse her to where she needs to be. I would like for her to be close to me, so I can always show her love and attention. ?